Council tax bills in England will rise by an average 1.8% in 2010/11 - the lowest annual rise since the tax was introduced in 1993, new figures show. The bill for an average Band D property will rise to £1,439, up from £1,414, the Department for Communities and Local Government has announced. The highest Band D bills will be in Rutland (£1,689), Hartlepool (£1,671) and Kingston-upon-Thames (£1,663). The lowest are Wandsworth (£687), Westminster (£688) and the City (£950). 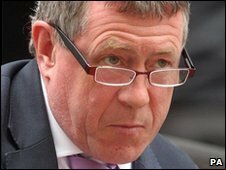 Local government secretary John Denham said the below-inflation increase had been made possible by a 4% increase in central funding for councils from next month. "The lowest ever increase has been made possible by a 45% real increase in government funding for local services since 1997," he said. "Our continued commitment will see councils receive an average 4% funding increase in April, helping to protect and improve frontline services. "Local people will rightly be intolerant of any council if they are told that care, libraries or youth services will be cut because they have not followed our radical reforms to protect the frontline services which matter most to people." Shadow local government secretary Caroline Spelman said: "Council tax is Gordon Brown's most painful stealth tax. "Under his watch, council tax bills have doubled while frontline services like weekly bin collections have halved. "You pay more and get less under Labour. This rise compounds the massive hikes of previous years. "As Scotland benefits from yet another council tax freeze, hard-working families and pensioners in England now face council tax bills of £120 a month. "Only a Conservative government will work with councils to freeze council tax bills south of the border." Central grants to local authorities make up the bulk of councils' income, and have risen to £76.2bn for the coming year. The total take from council tax will be £26.3bn in 2010/11, up from £25.6bn this year. Government has also required councils to find efficiency savings of £3.1bn over the past two years to protect funds for frontline services.